Siza teaches to create change that leads to peaceful people, who in turn create peaceful environments. He was born and raised in Zimbabwe, where he attended great schools that nurtured his love of learning and inspired him to become a teacher. Siza has his BA from the University of South Africa in Education and Geography, with concentrations in Childhood Education, Psychology, History, and Comparative Education. He has his M.Phil. from the University of Cambridge in Philosophies of Education. Siza has his ALM in Educational Technologies and ALB in Social Sciences from Harvard University. He pursued his elementary Montessori training through Seton Montessori Institute. 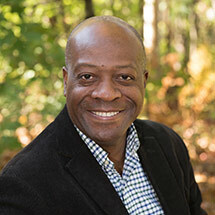 He enjoys reading, playing and watching tennis, and traveling, especially to Victoria Falls in Zimbabwe. 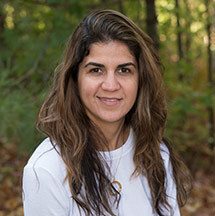 Chanin graduated from the University of Illinois and worked in several education related office jobs before settling in New Hampshire and staying home with her twin boys. When coming back to the workforce, she chose to carry her passion for the “aha!” moment into substitute teaching and office work in a public school setting. Chanin is inspired by the Montessori principle of letting the children’s interests guide their learning. When not at work, Chanin loves reading, watching Jeopardy!, and spending time with her family. Sheila teaches because she loves to learn. She says she learns from the children every day. It brings her joy and inspires her to create a learning environment that is challenging and fun. She loves the peacefulness, openness to the world, connection to nature, and respect that are found in a Montessori classroom. Sheila completed her Elementary I (ages 6-9) Montessori training at the Center for Montessori Teacher Education in Lexington, MA. She then went on to complete the Montessori Early Childhood Overview at Rising Stars in Rockport, ME. Sheila also has her International Montessori Teaching Diploma (birth to age 3) from the North American Montessori Center. She loves being outdoors exploring nature, especially in a kayak. Her favorite movie is “Mary Poppins” and her favorite colors are green and pink. 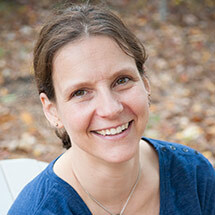 Anja found Montessori while she was living in Shanghai, China when she and her daughter toured a Montessori School. She was in awe of the environment, the materials, and the peacefulness that seemed omnipresent in the classroom. Anja continues to be inspired by the independence of the children, especially at such a young age, and the freedom for the child to explore independently within clear structure. 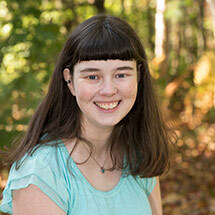 She is currently pursuing a bachelor’s degree in Liberal Studies with a Montessori concentration. Anja completed her Montessori training (birth to age 3) at the Montessori Institute – New England. She loves to travel the world and experience different cultures. She especially loves hiking and skiing with her family. Heather was drawn to the Montessori approach when introduced to the method in a couple of Early Childhood classes. Montessori feels like a great fit for her because she loves learning from and experiencing nature: in her free time she enjoys being outdoors; hiking, kayaking, swimming, and taking nature walks. Heather has worked with infants and toddlers for several years and feels that nothing else would truly fulfill her spirit. She says that being connected to infants and understanding their needs is like an art to her, and feels that it is her duty to assist each child in her care by observing them and being completely mindful of their needs. 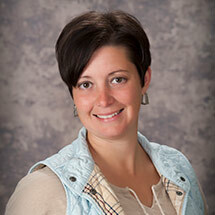 Heather also loves doing arts and crafts, and spending time with her daughter and their pets! Gleicy is inspired by Montessori’s self-directed, hands-on learning approach. She particularly likes the idea of collaborative play as a method of education. Her favorite Montessori quote is “Free the child’s potential, and you will transform him into the world.” She enjoys all travel, learning about new cultures, and cooking. Gleicy is originally from Brazil, and still loves to go back to visit the beaches! Lisa found Montessori during a school visit in her first year of college. She is inspired by the independence of the children within a Montessori environment that draws them to learn at their own pace. Lisa brings with her many years of experience in various educational settings serving young children through Kindergarten age. She has associate degrees in both Liberal Arts and Business Management with additional coursework in Early Childhood Education. Lisa really enjoys seeing the world through the wonder of a child’s eyes. She loves getting away to the mountains or the beach, but most especially the beach. Her favorite color is Caribbean Blue. 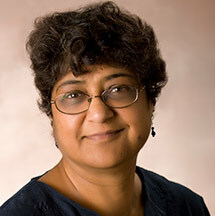 As a child, Trupti attended a Montessori School from ages 3-5 and has loved Montessori ever since. She completed Kindergarten teacher training with the Kindergarten Headmistress Association in Kenya. Trupti completed her Montessori Training at the Montessori College in Wimbledon, UK. She loves that Montessori supports children’s independence in all that they do and that they are allowed to learn from their mistakes along the way. Trupti is inspired by following the children and seeing them become independent as they are nurtured in the a loving environment. She was born and raised in Nairobi, Kenya, started her family in London, England, and continues to teach Montessori here in New Hampshire. She is an avid traveler and loves to make cards. Joelle loves working with children and has ever since her first experience at a summer camp at age 12. The philosophy of children working at their own pace with the freedom to work in the area of their interest are some of her favorite aspects of Montessori. She has an associate degree in Early Childhood Education from Castle College. Joelle attained her Montessori certification through the North American Montessori Center. She is inspired everyday by her students. Joelle loves camping with her family and would love to have the chance to live in another country. Her favorite children’s book is “One Morning in Maine” by Robert McCloskey. 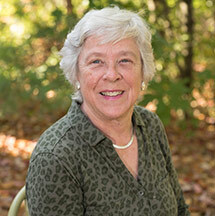 Sarah attended the Andover (MA) School of Montessori as a child, and has fond memories of the warmth and community of the Montessori classroom. She was eager to recreate those same feelings as a teacher and was drawn back to Montessori after teaching in a traditional school for several years. She loves teaching and says it can never be boring, because you make new friends to learn with every year! Sarah graduated from Wheaton College with a BA in English and completed her Montessori training at the Northeast Montessori Institute. In her spare time, she enjoys reading mystery and fantasy books and spending time with her best friends. Her favorite color is pink! Liz has worked in education for, as she says, more years than you can count – even on an abacus! She finds working with children to be very rewarding, because she loves to see them gain their independence and develop the confidence to do things they thought they couldn’t do! Liz is drawn to the Montessori approach because she is inspired by the idea of the students learning to think imaginatively and independently. Within just her first few weeks at SNHMA, Liz was impressed by how much the children had already accomplished. Outside of school, she enjoys getting away to the ocean and would love to take a cruise in Alaska! Becky directs our Elementary program. Inspired when her daughter began attending a Montessori school, she has been involved in Montessori education for 6 years. 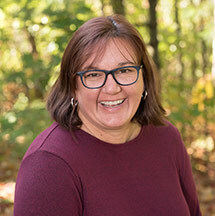 Becky received her Bachelor’s Degree from Mount Holyoke and did her Montessori training at the New England Center for Montessori Education and the Seacoast Education Center. 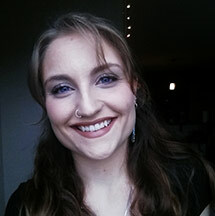 Prior, Becky worked as a Research Scientist, operating a $2.3 m telescope studying the evolution of spiral galaxies, a research assistant studying stellar births, and an undergraduate studying various solar processes like the Ne-Na cycle. As an undergraduate, she helped process the new Mossbauer spectrum being sent from the Mars Rovers, Spirit and Opportunity! 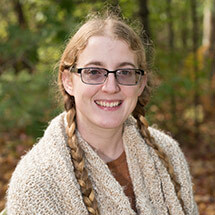 She is a recipient of the New Hampshire Geological Teacher Grant and the ShareSpace Foundation Mar Map Grant. She enjoys hiking and skiing, and loves reading! 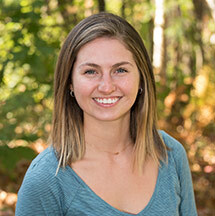 Emma has a History degree from the University of New Hampshire and extensive experience as both an Arts and Crafts Counselor and the Head of the Leadership Team at an outdoor summer camp in Rhode Island. Emma strongly believes that art enhances the human experience, and that the ability to visually express ideas allows us to share joy, spark imagination, cope with loss, and honor loved ones. She knows that the ability to visually express information is a powerful communication tool for adults and children alike, and believes that Art Education is an integral part of a child’s education. When she’s not teaching art, you can find her tending to her vast collection of house plants! Kathi Hanson fills her days sharing music with all ages. 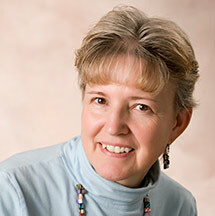 Kathi graduated from the University of Toledo and continued her education at the University of New Mexico. 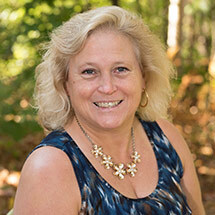 Upon moving to New Hampshire, Kathi began a business going to many different nursing homes to lead sing a longs. She has recently completed training as a certified therapeutic musician, which allows her to play one-on-one at the bedside in hospitals, hospices or nursing homes. 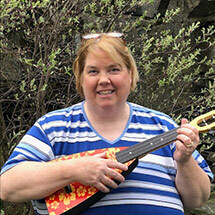 Along with this she is employed by Let’s Play Music and teaches piano and ukulele lessons, leads a music program for 4 and 5 year olds and plays piano or other instruments for developmentally disabled adults. Kathi plays the piano, guitar, ukulele, mandolin, harp, Native American flute and accordion. She and her husband have two children adopted from Russia and they live in Manchester with their two dogs!